Everything you need to know to make your next Disney World vacation even more magical! We are the Jensen Family! We’ve been married for nearly twelve years and have two beautiful daughters (9 and 3) and we… do… Disney. We first went to Disney World in 2013 when our oldest daughter was only 3 and we were hooked. We’ve stayed at many different hotels, eaten at many different restaurants, and have ridden every ride that Disney has to offer. First visit to the Magic Kingdom in March of 2013. We created this blog because we love to share our love for Disney with others. When friends or family start to plan their Disney vacations, we always share our tips and trips, so here is a way for us to put all of it in one place! 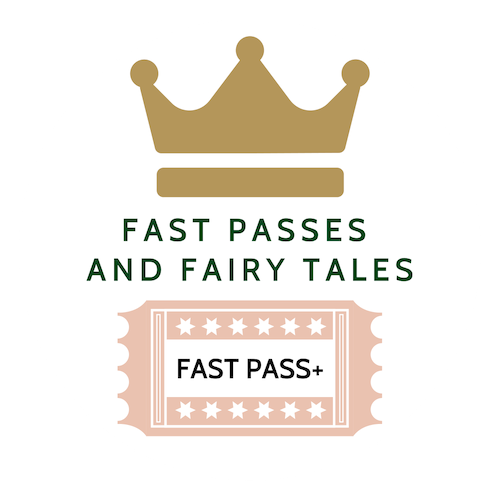 We love to call our Blog Fast Passes to Fairytales because we are all about the magic that Disney brings to the total park experience. You become enchanted in the thrill of riding the best ride in the park (with little to no wait) and meeting a Disney character or Princess and watching the magic that happens between that interaction. We encourage questions and look forward to sharing our experiences with you! Let’s have a magical time together! Oh yeah, did we mention that we have an amazing community of Disney World Fanatics in our Facebook Group – Disney World Questions and Answers? If you want to hang out with us and thousands of other Disney World Fanatics that are there to get all of your Disney World vacation questions answered, click here to join our FREE private Facebook Group! 50% of all profits generated from our blog is donated to Give Kids the World Village. Learn more about Give Kids the World Village. Donate directly at Give Kids the World Village.